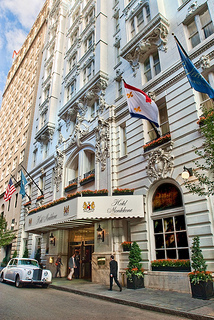 ISPAC-2013 will be held at Hotel Monteleone in New Orleans. There are 2 types of rooms available, the standard King and the double double. Each is $165/night plus applicable tax. You can link directly to ISPAC's private block rate and reservations online here. You can also call the hotel directly at (504)523-3341 or toll free at 866-338-4684 to make reservations. Please mention ISPAC 2013 to get the room block rate above. If you would like to stay at the hotel for any nights before or after ISPAC at the block rate, the rate is available for 3 days before and after the event. You must call to make such a reservation since the online reservation is only for the room block for the event dates.